Successfully Added New Bluetooth Headset - Necklace Earphone Design to your Shopping Cart. Finally a Bluetooth headset that doesn't leave people around you with the impression that you might just be the kind person to say "The President is now in the building!". This model is made for people who want the Bluetooth functionality but without the obtrusiveness of an object dangling from your ear. This sleek and light weight model wraps conveniently around your neck like standard earphones and you're only reminded of it's presence when you need to be. 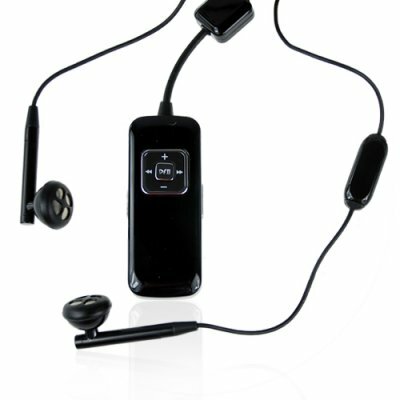 Take advantage of Chinavasions drop shipping and wholesale prices for this and other Bluetooth headsets. Light and inobtrusive, just what i've been looking for. Great sound quality too.